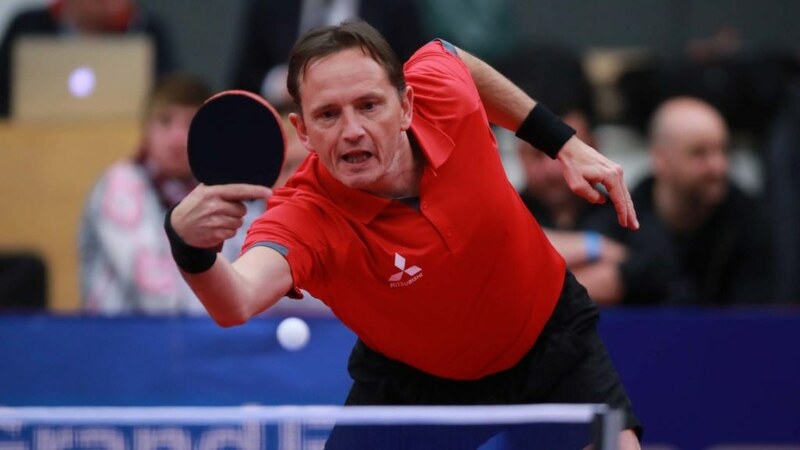 They met in the Men’s Singles final at the European Championships in Stuttgart in 1992; on that occasion, with England’s Brian Watkins sitting proudly in the umpire’s chair, Germany’s Jörg Rosskopf beat Belgium’s Jean-Michel Saive to arrest the coveted title. 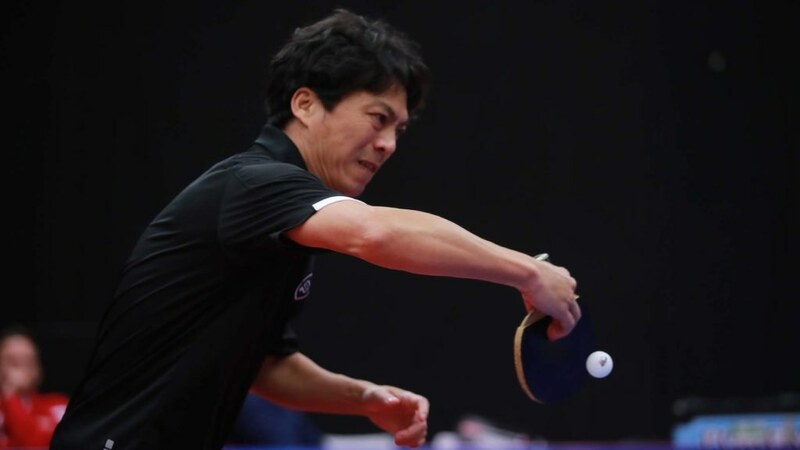 On Friday 28th April, some 25 years later, Jörg Rosskopf repeated the feat; in the final of the 2017 ITTF Legends Tour in Metz, he accounted for Jean-Michel Saive once again. Turning back that sands of time, he emerged successful in a full distance five games encounter (8-11, 11-8, 9-11, 11-9, 11-8). 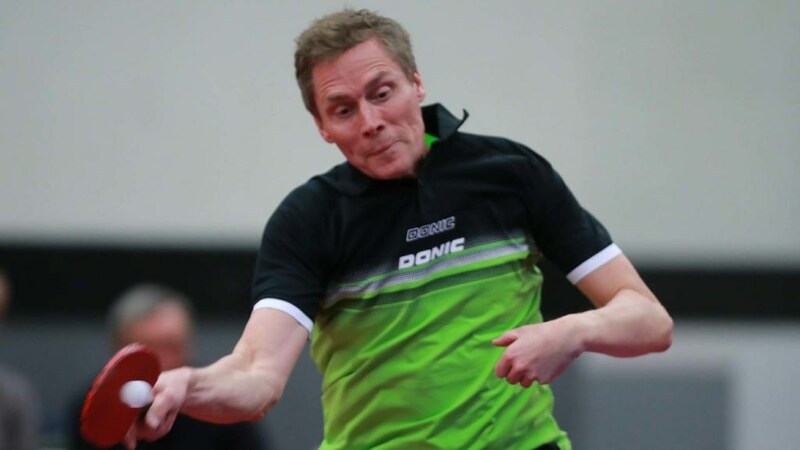 Earlier at the semi-final stage Jörg Rosskopf had beaten Panagiotis Gionis of Greece (11-8, 8-11, 9-11, 11-6,11-6), the quarter-final winner in opposition to Frenchman, Christope Legout (11-9, 9-11, 11-9, 11-6). Defeat for Christophe Legout but he had his chances; the opening two games shared, he led 8-2 in the second before Panagiotis Gionis mounted a recovery. Earlier Jean-Michel Saive had beaten Sweden’s Jörgen Persson (11-7, 11-9, 11-6), the quarter-final winner against China’s Jiang Jialiang (11-9, 9-11, 11-9, 11-6). 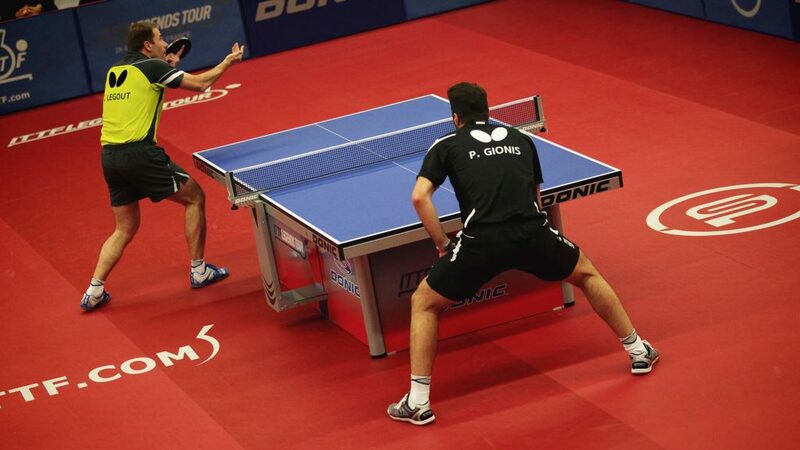 “Jörgen had a leg injury but I think it’s the best I’ve seen Jiang Jialiang play on the Legends Tour.” Jean-Michel Saive. An evening to remember and just one thought; in the German Men’s Team selection for the forthcoming Liebherr 2017 World Championships in Düsseldorf there is still one position to be filled. Should Jörg Rosskopf select the player clearly in good form?